With the increasing hostility of Spanish fans towards current Valencia CF president Manuel Llorente, Adil Rami wrote about support of the president: "We are all like family and I and the players are with the president to death". Some strong words obviously. I've also already written an editorial about Manuel Llorente, I call it 'the story of Llorente', though the title may change, but I'll go over it once again to tackle some grammar mistakes and then publish it when there is not much going on. Its not a defense of Llorente, its more of a history of what happened, infused with my comments. So expect, probably after the matches against Real, though if I can squeeze it in between I'll do that. In other news related to Valencia CF president Manuel Llorente there are reports that if he looses the presidency of Valencia CF, he could become the next president of the LFP. 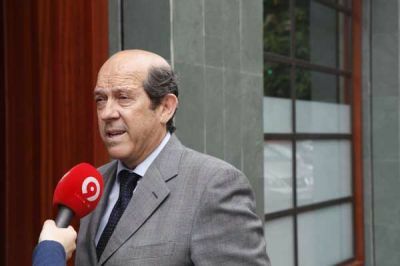 The Provinces writes: "The truth is that the current president of Valencia is very well regarded in the LFP. For this and said pressure from the fans, it is not unreasonable to think that Llorente, would at least consider the offer that comes from the capital of Spain to take the position as president of the LFP." Llorente has a contract till 2014, but some are hoping to oust him at a board meeting and have a vote of no confidence, though its highly unlikely that could happen.